Q&A › Category: Other › What Are the Best Ways to Promote the Hobby of Stamp Collecting? I’m curious to know how other philatelists promote the hobby, and what approaches are the most effective in your eyes. Personally, I’ve created this website as a way to reach people through the internet, and I also use social media as well. 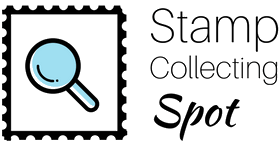 I am also starting a stamp club in my area (which is sort of in the middle of nowhere…the nearest stamp club is an hour and a half drive away) which will hopefully attract some interested non-collectors to the hobby. Can you share with me how you or someone you know of promotes the hobby? Perhaps if enough of us actively spread awareness about philately and help non-collectors get started, stamp collecting will experience a jump in popularity. I do social media for Chicago area clubs. We are getting a growing number of followers, but it hasn’t translated into meeting attendance. It’s a hard nut to crack. I also do publicity for Chicagopex. I think we have good luck with promoting the show in philatelic media. It’s been tough to attract folks outside of the hobby and I’ve tried advertising on Chicago Parent and sending out press releases to local media. Another worthwhile option is to post shows and meetings to events calendars for the local area – this increases awareness. Thanks for your reply! Out of curiosity, have you been able to track how attendees heard about the show? It would be interesting to know how many non-collector show-goers came as a result of ads they saw, and how many collectors came because of an ad for it in philatelic media. Obviously, this may be difficult to track and the numbers might look fairly low in the short-term, but over time – in the long term – certainly this publicity has helped spread awareness, and therefore boosted attendance for the show. It would just be interesting to see by how much. Thanks again for sharing your thoughts; they’ve been helpful and have spurred some ideas. We have had the team at the Chicagopex hospitality table try to track this, but it’s difficult to get the information without requiring admission or registration, which we don’t do. The responses we did tend to weigh heavily toward philatelic press. Okay, that makes a lot of sense. I’m sure if you did require admission or registration it would negatively affect attendance. Thank you for starting this website! Not sure if we’ve met, but I’m Michael Bloom, one of the Directors of the APS. As the second most successful APS recruiter, after Donald Sundman of Mystic Stamps, the best way to even start the conversation is to give stamps to prospective collectors. At World Stamp Show NY2016, we gave away 4 million stamps! I’ve been at the last 3 APS shows, and I think we’ve met briefly. I’m not surprised to hear that giving away stamps is the best tactic. 4 million stamps at one show is…amazing! Thank you very much for your valuable response! Ask any stamp collector how they got started in the hobby and invariably, they will get a dreamy look in their eyes as they relive the wonder and excitement of their first stamp collecting memories. Every collector will share their testimony about how a relative or friend introduced them to the hobby, provided that first packet of exotic stamps and spent time answering their questions. The common denominator in every story is TIME…time spent by existing collectors sharing their passion for philately with another person. The key to passing our passion for philately to the next generation is to spend time with them. It is as simple as that. Human beings are social creatures. We all yearn to be connected. People on your street and in your neighborhood are longing to connect with and interact with other human beings. Folks are looking for more than a facile, Facebook existence. They are hungry for community. Now it is our turn. To help more people discover our delightful philatelic world, we each need to be purposeful about sharing our passion for philately with others. Take a moment right now to write down the names of three people that you want to get to know better this year. The next time you are at a stamp show, pick up a couple of inexpensive stamps or covers for your friend. Your friend will be delighted to receive an unexpected gift and you will have planted a philatelic seed that, with time, may germinate and grow into a bona fide philatelist who will get all dreamy eyed when he or she reminisces about you. So true! I absolutely agree. Although telling someone about the joys of philately – or better yet giving them stamps of their own – will plant a seed, actually being present and available to them and helping them on a deeper level will go a lot further in getting them to stick around as collectors. I’ve been able to witness this in my siblings. As they watch me grow my collection, they become excited about theirs. And when they have questions or need help using the Scott catalog, they know exactly who to come to for assistance. I’m not sure they’d still be collecting if all I did was give them stamps one day and left it to them to figure out. Thanks for your insight and very thoughtful response! It is great to have this discussion online, and thanks for starting it here.. It is a huge problem, as most young people these days do not seem to have the patience or interest to collect stamps seriously. Also, social media is great, it works for us, but not for most of the older stamp collectors. You might be surprised that when we asked the question in our club on how many people know or are on Facebook less then 20 % raised their hand. Children’s tables are tried at various shows with very limited success. Kids only get interested it seems when their parents already are collectors and make them join in the fun. We have tried creating some interest also through promoting topical collections, like animals (most kids like them) or other topics. Giving stamps away may work, but most stamps given away will probably only lead to a small percentage of new collectors. It costs a lot that way. Door prizes and raffles can help too. I think that outreach through school programs or clubs like scouting groups might be an option to try (again). What we would need though is a presentation that hits the soft spot for the youth. Main problem remains that younger generations see stamp collecting as a geeky hobby, with people staring at tiny ugly pieces of paper. Well, not true, but you know what I mean! Hi Leen, thanks for sharing – you have some great ideas! My stamp club meets next Tuesday, and I will be doing a presentation on how to find a stamp’s value. I’ve advertised this in our newspaper, on the radio, and in the club newsletter in hopes that many potential collectors will show up. I chose to do a presentation on this topic because value is what (almost) everyone thinks about when they think of stamps, and since a good number of people have an old stamp collection sitting around, I figure the interest in such a presentation would be fairly high. The goal of course is to inspire people to get into the hobby (with realistic expectations). Hoping for a good turnout, but we’ll see!